Commercial Engineered Polymer EP branch multi-port elbows feature an integrated 3/4 or 1 in ProPEX® elbow inlet with 1/2 in ProPEX® branch outlets and mounting clips. 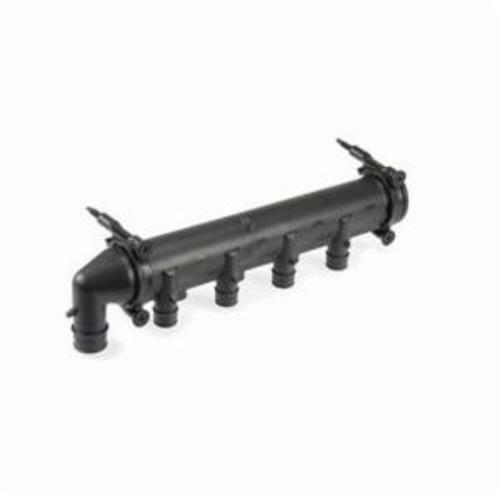 The elbows are designed for commercial plumbing applications, and eliminate the need for multiple connections. The elbows are made of EP, which is proven in demanding hot-water applications.